Recognizing the potential of currently available 360° camera and VR technologies to meet our business objectives & those of many others, Exhibit Scotland champions early adoption among our existing & growing client base. We advocate the integration of these technologies in the workplace, at home & on the move, for knowledge transfer, training, enhancing efficiency and improving peoples lives. 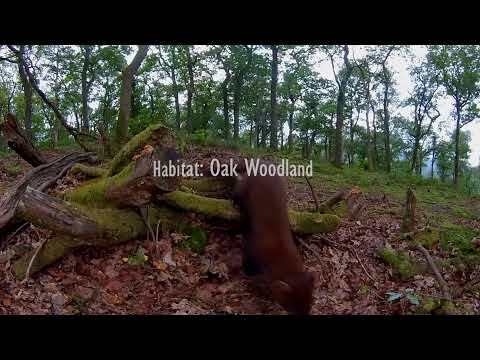 During the past 2 years we have been extensively testing 4K pro-camera units throughout our work, for their suitability capturing wildlife, music & arts events, interpretive, educational & promotional 360° content. Recently we have been working with cameras with even higher resolutions of up to 8K, also with "3D" capability. Exhibit Scotland works in collaboration with locally based production / post production experts, as well as individuals & organizations invested in 360°/VR technology. Exhibit Scotland is always looking for new 360° projects, new ways to raise the profile of that which is in, for & about Scotland. If you would like to commission a project, or have ideas for collaboration, please do not hesitate to be in touch. Health: Integrating 360°/VR time into your week, will improve your life. “Person Centred 360°/VR Activity” is a term we use to describe, all the activity that could surround a person gaining positively from these technologies, in relation to health and overall well-being. Engaging with “Person Centred 360°/VR Activity”, using 360° & other related technologies cleverly to benefit oneself, has the potential to raise users self esteem, through self management. People can easily make this technology work for them. A good quality smart phone, a decent quality mobile VR headset & one of the many 360° video cameras on the market now, are all one requires to begin making 360° video content. There are many free apps & You Tubers available to help people. We also offer training and advice. Access- to situations, places, events & learning material, without the need to travel, in the safety/comfort of familiar surroundings, is great news for a lot of people. Improved access alone, is enough to boost many peoples mental health & resilience. We encourage people to get to grips with the opportunities this technology offers. With the right mindset, in the right hands, it has the potential to have great positive impact. The technology is already performing a valuable role in raising equalities for many people, particularly with live stream technology being engineered into many 4K 360°cameras & todays social media platforms. Memory- Capturing places, spaces, stories, occasions & situations “experiences”, to enable the user to share in others experience, or perhaps stimulate their own memories. 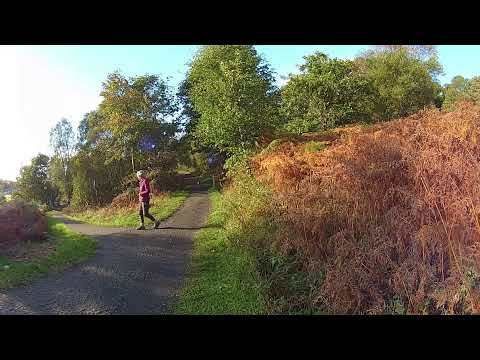 Anxiety- Capturing film of places, things & situations that create anxiety in the user, with the intention of assisting the user towards achieving their goals to feel better/go/participate, reduce their anxiety through repeat exposure, under supervision &/or in safe controllable conditions. Stress/Relaxation- Users of 360° video of natural environments often remark at how relaxing the experience is. 360°/VR for relaxation, could be tailored for the individual for maximum effect. Low mood- Capturing film of places, things and situations that elevate the users mood, for use as required. Here, less headset time may be more, with perhaps the "change from the norm" provided by 360°/VR, also contributing to the power of the medium. Stimulation- The experience of using VR equipment to experience 360° imagery could be generally described as stimulating for the majority of users. Many people require some positive stimulation & 360°/VR is a fun way to attempt this. Bespoke “content is king” here! Where possible Exhibit Scotland investigates therapeutic applications of 360° film. This work is self funded to date. 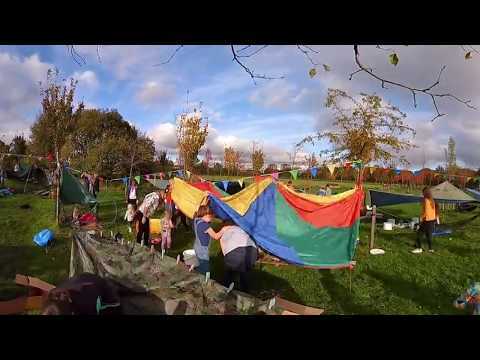 From working with schools for children with additional support needs & mental health projects, showing 360° film of Scottish landscape & wildlife, it is clear that this medium is a way to encourage people to want to go to see the places & wildlife within the 360° content (participate in physical activity)..... for real! Through work with people with ASD & PTSD initial findings suggest that 360°film & VR could be used as part of a suite of coping strategies for some people. Anxiety inducing experiences, many people take for granted, like "using public transport" could be worked on, in a safely managed environment/at home, using 360° film experiences as an element of exposure therapy. People with failing memory can now create very life-like experiences with 360° film, to stimulate emotional memory, as they get older. 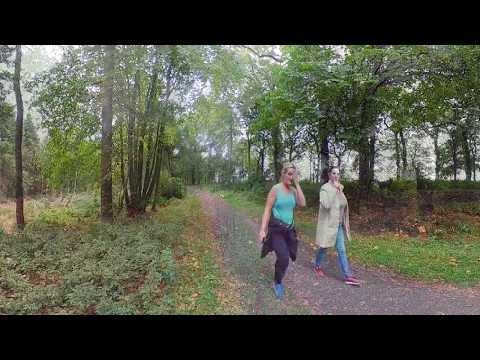 This technique is being celebrated by Dan Cole & his crowd funded project "The Wayback"
During 2017 Exhibit Scotland created a suite of 360° films for Forestry Commission Scotland, to promote the health and well-being benefits of their Woodlands In & Around Towns. As well as generally encouraging countryside recreation on WIAT sites, this project included an experience for patients of Forth Valley Royal Hospital, as a relaxation experience, which seeks to encourage patient use of the green-space, within easy reach of the Hospital. Education- teaching through 360° experiences. The educational potential of 360° imagery is increasing, with camera & editing technology becoming widely available for use with computers & smartphones. With new ways of self-authoring 360° content & embedding text & other media, to suit teaching / presentation requirements being developed, educators can now create & use 360° content to make learning experiences, using the same basic skill set that most people are developing for social media platforms/apps, blogs and power point presentations. 360° experiences are a new way forward for staff training, with leading high street retail chains reporting it as "a way to engage millennial staff members" Currently in 2019, Exhibit Scotland is working with Developing Young Workforce to create educational 360 experiences of various workplaces and job roles, which are tailored to fit in with curriculum guidelines. Through thoughtful development, our 360° experiences have enthralled users & it is clear 360°/Virtual Reality technology has a useful role in classrooms of the future. 360° imagery is a tool for the effective transfer of knowledge, ready to enable the learner where access is an issue. For example, lectures captured with 360° cameras could be utilized by, distance learners. 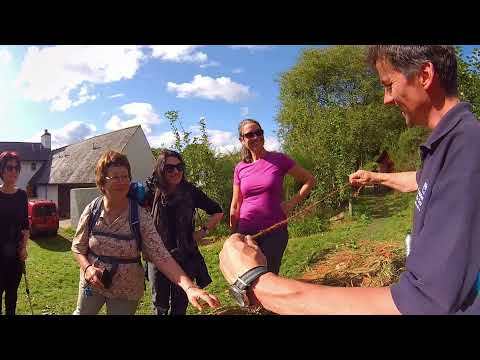 During 2018 Exhibit Scotland worked with Scientists from the James Hutton Institute, on a "knowledge transfer" project funded by SEFARI. This project saw the creation of a 360° experience showcasing Peatland Restoration Science & sharing the importance of Peatland Restoration, as a climate change mitigation measure. 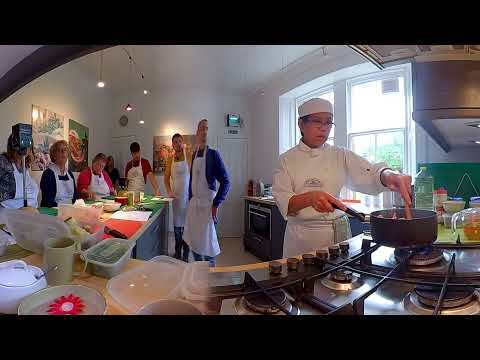 Exhibit Scotland has also been working with Krua Thai Cookery School, to create master-class content. Multi-camera deployment allows TV chef Rujira Herd to move freely around her cooking space as she teaches, unimpeded by cameras or camera operators.The end user experience is an exclusive viewpoint on Krua Thai food preparation/cooking skills, (1-1 or as if being one of a small group of trainee chefs) during Ru's “Cooking Live” Fringe Festival Show. Krua Thai Cookery School intend to market their 360° master-class content to clients worldwide. 360° Visitor Experiences "Virtual Tourism". Director Andrew Macdonald, has an interest in visitor interpretation principals & approaches for telling a story. 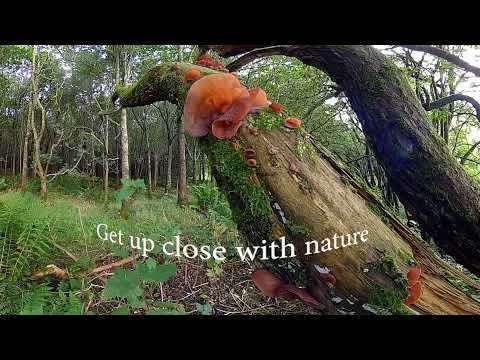 During 2017 Exhibit Scotland produced groundbreaking wildlife & habitat focused 360° content for Royal Society for Protection of Birds (RSPB) Scotland and Plantlife Scotland. 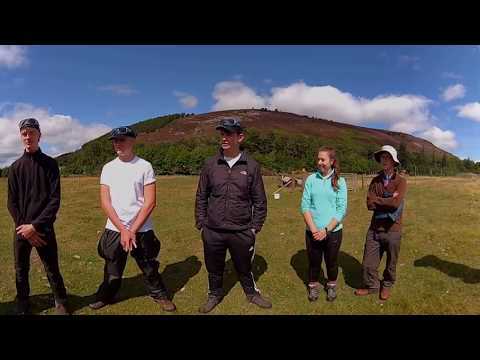 The RSPB “Abernethy” 360° showcase launched at the Royal Highland Show 2017 & is very popular with visitors to the RSPB stand. The content is available to view in the Loch Garten visitor center, as a new visitor experience, as well as on the road (Royal Highland Show) generating awareness & membership sign ups. Andrew also attended the RHS in 2018, again delivering to 100+ people per day. The Plantlife Scotland “Celtic Rainforest” 360° showcase launched at the Royal Botanic Gardens (Glasgow) along with their new story based publication about the Gillie Dhu. 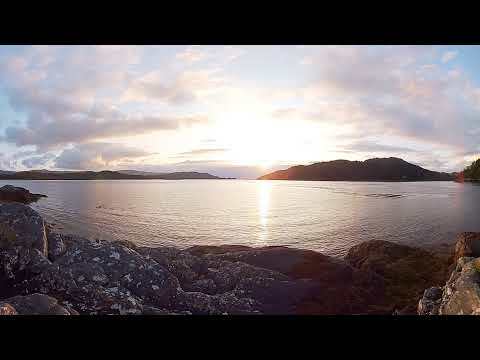 Users experience being deep in the Atlantic temperate forests of Ardnamurchan, among Oak, Hazel and Birch trees dripping with lichen, fungi, mosses & liverworts. Along with featuring on the Plantlife Scotland web page, the 360° content is a new exciting part of their educational & outreach armoury. During 2018 Exhibit Scotland was invited by Scottish Enterprise, to showcase "Virtual Tourism" at ExpoNorth. We also teamed up with Reeltime Events & Entertainment, to create & deliver a 360° virtual tourism experience, for a large corporate event at the National Museum of Scotland. 360° Promotional & Marketing Experiences. 360° marketing / promotional content is now taking off across the globe. Paramount Pictures “Transformers 5” (T5) Blu-Ray disk contains a download link for fans to access an exclusive behind the scenes 360° “experience”. This trend is set to continue. Not just “watching”, 360° film is something of an “experience”! Content to navigate with a touchscreen / mouse, or even move within, if viewed through a Virtual Reality (VR) headset. 4K+ 360° video capture & display technology are becoming widely available. Great resolution on handsets & in turn VR headsets, making the 360° mobile VR user experience very good indeed! 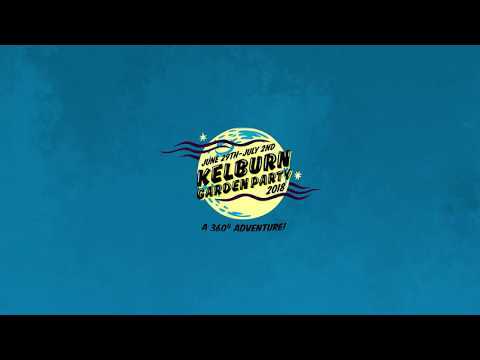 Kelburn Garden Party (KGP) Events: During the three KGP events across 2017, five 360° camera units where utilized to capture footage of the estate & event action, for the “KGP 360° Adventure”. Multi-camera deployment captured single & multiple stage action from various angles, allowing for edits that give fans unprecedented access to on-stage performance. 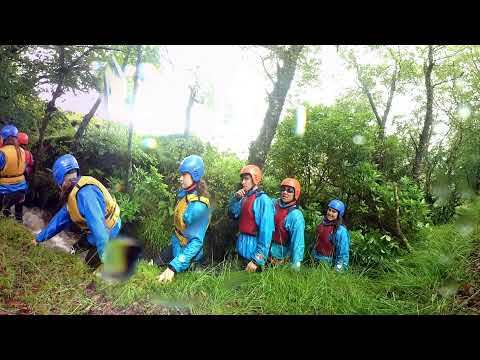 Exhibit Scotland has produced a promotional 360° experience for... National Trust for Scotland working holidays for young people,“Trailblazers”! The 360° experience follows participants through a week of mountain path repair, blanket bog restoration & the John Muir “Discovery” award. 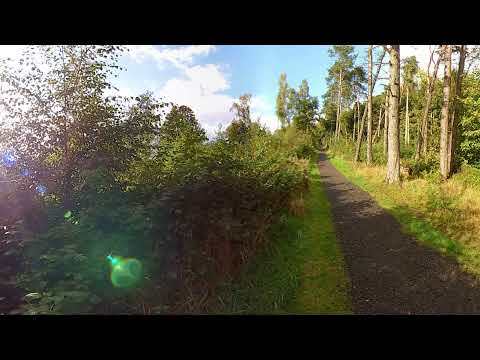 Exhibit Scotland also worked with Forestry Commission Scotland to produce a suite of five 360° promotional & therapeutic experiences utilizing its Commonwealth Woodlands In & Around Towns (WIAT).